Frist,a large meting temperature , plastic better be the kind that very well flowing condition in the low temperature and well stability in the high temperature. Second, the viscosity can be very litte changed by the changeable of the temperature. Visicisity and flowing change very litter when the pressure is changed. And plastic can flow fluently when it is in a very low pressure. Third, High curing temperature and thermal deformation temperature. In the condition of high temperature , the production can be cooling quickly and the transformation will not exict and the cycle time can be shorten Fourth, High heat transfer coefficient , thermal conductivity are good so that products can rapid cooling in the mould. Low specific heat so that the plastic is easy melting and solidification. These are the plastic performance requirements of hot runner system. 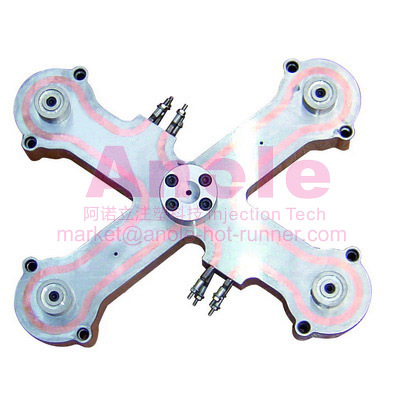 If you are interested in hot runner system , anole can be you r best choice to cooperate . Please feel free to contact me .